Vehikool Ltd are a small friendly business situated at Aldridge, Walsall near Birmingham, West Midlands where you are able to liaise straight with all the owner who will feel satisfied to advise you without any concerns that you have with your automotive/car air conditioning servicing or repairs. 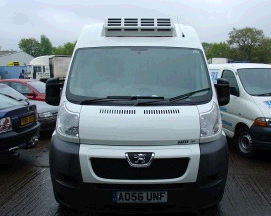 We will also help you with any transport refrigeration servicing or repair difficulties. Vehikool is an approved Hubbard/Zanotti Service Supplier Agent and we'll be satisfied to repair or provide any kind of transport refrigeration device i.e. Carrier, Coldchain, Eberspacher, GAH, Hubbard/Zannoti, Kerstner, Thermo King, etc. For more than thirty years of experience, we are dealing with car/vehicle air conditioning and all transport refrigeration units. Vehikool has ten years of trading experience behind us; we guarantee our workmanship that we’ll try to provide you a service that is second to none whether it may be for your automotive/car air conditioning service/repair or for any other transport refrigeration service/repair requirements. As a Company we deal with all the general public and the motor trade, 90% of our company is either repeat company or suggested.Areas Covered: Birmingham, Wolverhampton, Dudley, Walsall, Sutton Coldfield, Lichfield, Cannock, Aldridge and surrounding regions. Vehikool are pleased to be able to offer an automotive/car air conditioning service/repair we will service the automotive air conditioning on any make or model of car, van, truck, motorhome (European or American), or agriculture vehicle. We can offer you a mobile service/repair for your car air conditioning, this can save you time and the inconvenience of taking your vehicle for its automotive air conditioning repair . Smelly Car/bad odour? This can be caused by your vehicle Air Conditioning. We will be pleased to remove that smell for you with the latest technological Wynns ultrasonic treatment. Contact us now. Areas covered: Birmingham, Wolverhampton, Dudley, Walsall, Sutton Coldfield, Lichfield, Cannock, Aldridge and surrounding areas.